Weekly Update 2016-21: The awesome mixing styles of French producer LeMarquis, some thoughts about the video game Tapper as the original gamification of a humdrum activity, and the mesmerizing illustrations of Katie Garth. I can't even remember how I stumbled upon this awesome French producer, but he is SO talented. He has some amazing mixes, and his original music is also really good. I know I don't usually post long mixes here, but this one from Brain Magazine has given me so many good acts to follow up on. It's magnetic. I biked to work twice last week! I'd like to bike a minimum of twice per week from now on, and I'm also starting to think about going in a little earlier. With all of the bike racks at my office, there is precious little space on the wrong side of 10:00. Plus I suppose it's a good reason to wake up a little earlier and enjoy more of the day. I also managed to spend most of my weekend in the great outdoors: a hike to Spencer Creek Gorge and not one but TWO fireworks displays in Christie Pits on Sunday, and Trinity Bellwoods on Monday. And finally, I ran almost 8km yesterday! I've been stagnating around 5km runs, and I want to bump that up. That said, it's getting hotter out during the day and I may have to keep the runs to evening time now. A good reason to break out the bright neon clothing. I haven't been keeping up with Arduino stuff lately, and even my China posts have fallen a bit by the wayside. This week is going to be really busy, especially because I want to finish off my Wolf Parade project in time for the concert on Friday. I'll be making buttons out of all my illustrations of their faces, and hopefully it will make its way to them somehow! I'm literally on pins and needles waiting for the shows. I still can't believe they're back together! 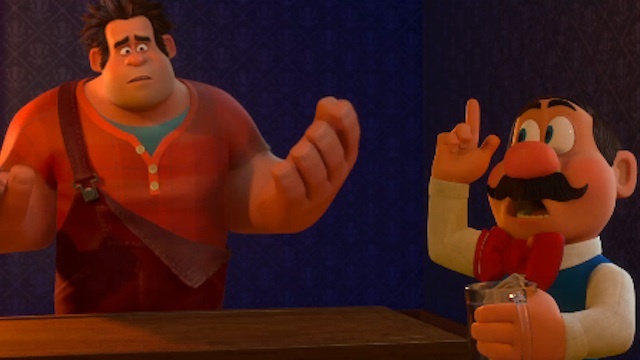 I was watching Wreck-It Ralph again the other day and the scene in the Tapper game got me thinking. If you know anything about Tapper, you'll know that it's a game of multitasking against the clock as you run around to serve increasingly disgruntled patrons of a bar. This got me thinking about all of these video games that are based on real life jobs. It occured to me that you can gamify every occupation into something fun, even if it's redundant. People love fake accomplishment. Bake story, Farmville, temp assistant story, Garbageman story, whatever. I wonder what will be next. Her work carries such a strong weight to it, which seems to juxtapose the thin lines and negative space. I suppose what I really appreciate is her approach to composition that packs such a punch in such a subtle way. In addition to her depth of illustration work, Katie also has a design portfolio which you can view here.